● Extra Tough. ● Easy Carry Handle. 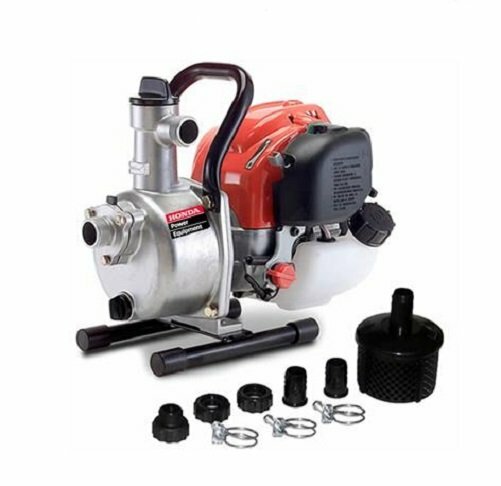 ● High quality Double action pump for ease of operation. ● Adjustable nozzle for varying conditions. ● Unique pump grip and handle reduces operator fatigue. ● Robust tank designed for reliability. ● Filter in lid to keep debris out of tank. ● AS1687 Compliant. ● Continual water jet achieved from double action hand pump. ● Light weight and compact. ● New Design, Tough UV Stabilised Poly Tank. ● Easy-Move Integrated Handles. ● Ideal Fit For UTV’s. ● 36 Metres of Fire Fighter Hose, Adjustable Fire Nozzle. ● Compact Quick Response Fire Fighting Unit. ● Add The Rapid Fire Hose Reel For $605. ●Tough UV Stabilised Poly Tanks. ●Australian Made & 15 Year Tank Warranty. ● Genuine Honda Motor. ● Australian Rated Fire Hose & Adjustable Fire Fighter Nozzle. ●Full Manufacturers Warranty. ● Heavy Duty Galvanised Steel Frame. ● Tough UV Stabilised Poly Tank. ● Reliable Honda GX160 Motor. ● 2″ Aussie Pump Fire Fighting Pump With Pressure Regulator. ● Bottom Fill Kit With Camlock Fittings. ● 36 Metre Fire Fighting Hose Reel & Adjustable Fire Nozzle. ● Fully Customiseable. ● Australian Made. ● Heavy Duty Galvanised Steel Chassis. ● Strong UV Stabilised Poly Tank. ● 10 Year Tank Warranty. ● Excellent Ground Clearance. ● All-Terrain Road Tyres. ● Ball Baffle System Fitted. ● Reliable Honda GX160 Motor. ● 2″ Fire Fighting Pump, Camlock Fittings & Pressure Regulator. ROAD TRAILERS ARE FITTED WITH BRAKES & LIGHTS. AND ARE READY FOR REGISTRATION. ● Heavy Duty Steel Frames with Lifting Points. ● Reliable Honda Motors. ● Powerful Fire Fighter Pump. 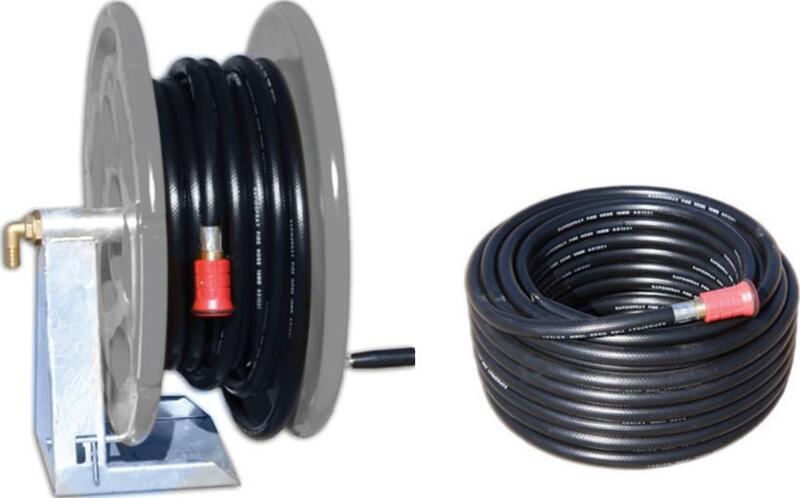 ● Suction Hose Kit For Drawing From Multiple Water Sources Including; Tanks, Pools, troughs & Dams. ● High Quality Fire Fighting Hose. ● Adjustable Fire Fighter Nozzle. ● Quick Deployment. ● Woven Canvas. ● High Pressure 3500 kpa. ● Can Be Stored Wet. ● Adjustable Fire Fighter Nozzle. 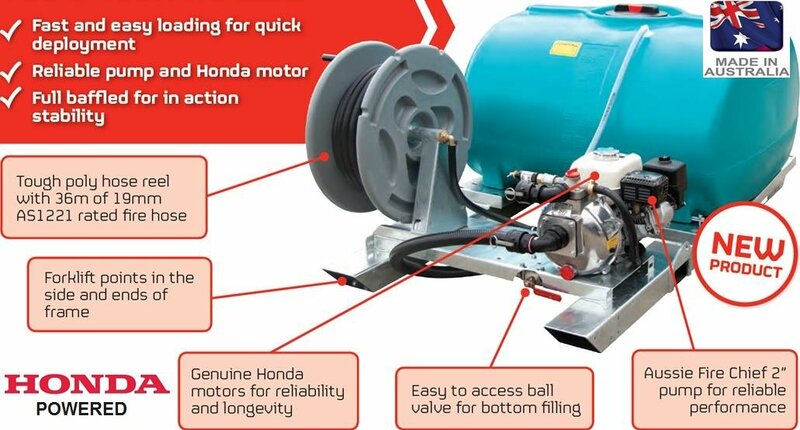 ● Reliable Honda GX Motors. ● High Performance Pumps. ● Quality Fire Hose. ● Suction Hose Kits. – FREE DELIVERY is available on many of our Rapid Spray fire fighting units, to many locations. Click Here or contact us to find out if you are eligible for free delivery. – Sales Inquires; Tel- 0497 051 143 . Between the hours of 08.30 am – 8.00 pm Mon to Fri, 8.30 am – 5 pm Sat & Sun. The Bushfire Store’s fire fighting units and fire trailers are Australian made and built for ultimate reliability. 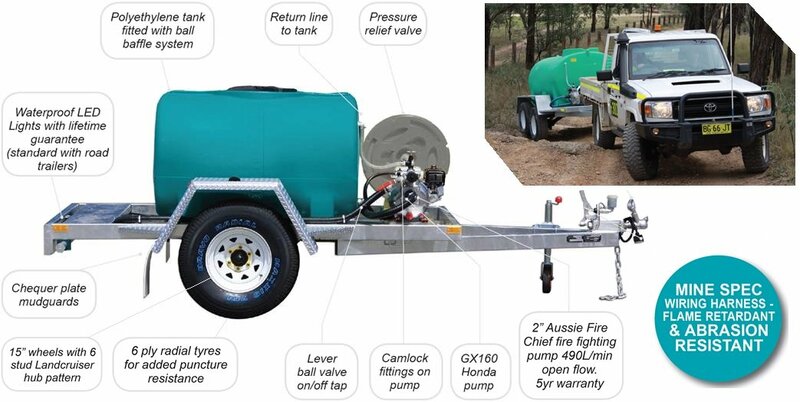 The full Rapid Spray range of Fire Fighting Units and Fire Fighter Trailers have been tried and tested by the Bushfire Store. 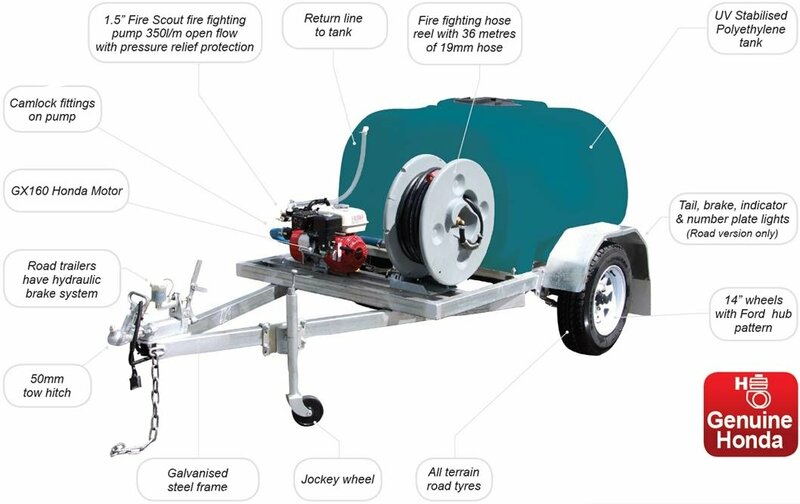 At the Bushfire Store we only sell the best quality fire fighting units and fire fighting trailers. All of our fire fighting units can be customised. Please contact us for more details. Customer Reviews: Toughest fire fighting tanks. Very reliable fire fighter tank. Great fire fighting skids for farm fire protection. Portable fire fighter units fit great in the trailer. Australia’s best fire fighting units. Fastflo Fire Knapsack. – Rapid Fire Marshal Plus. – Rapid Fire Marshal. – Fire Ranger. – Fire Marshal ATV Trailer. – Fire Marshal Trailer – Fire Ranher Trailer. – Fire Response Unit. – Home Protection Unit. – Fire Reels. – Fire Pump Kit.